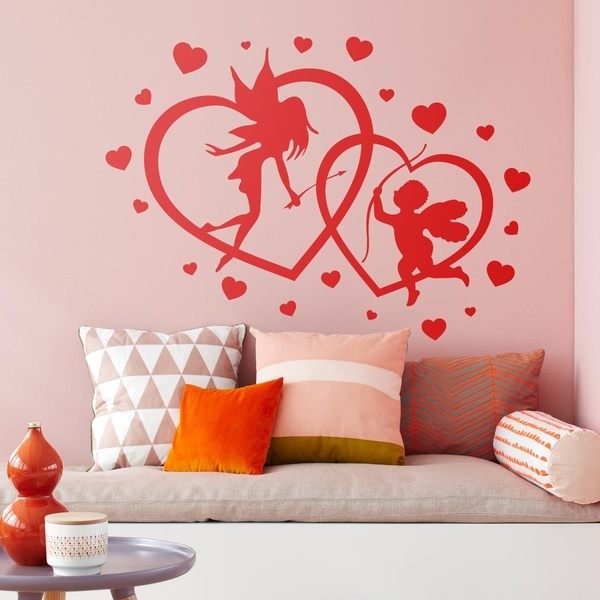 Wall decal Hearts Fairy and Cupid. 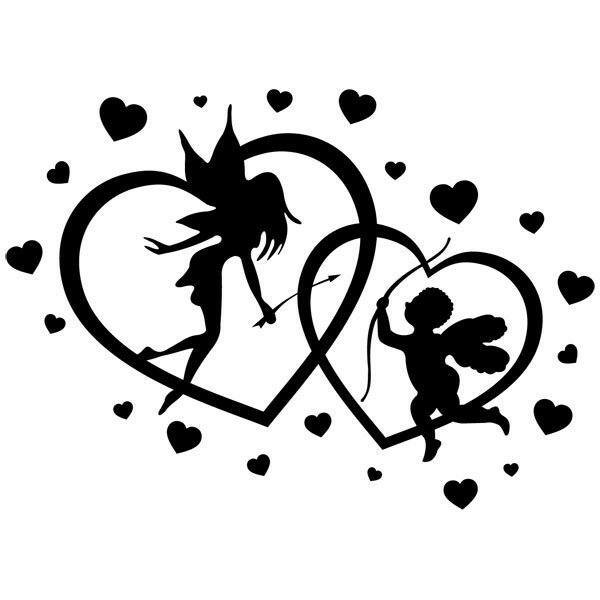 Two linked hearts surrounded by hearts, in the center of them in one appears the silhouette of a fairy with an arrow and in the other the silhouette of Cupid with a bow. 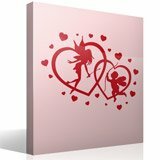 Love is a universal feeling that you have towards a person, animal or thing.